What does MOHAN USA stand for? MOHAN USA promotes ethical organ donation in India. We believe that this will not only impact the thousands of patients awaiting organ transplant by giving them a second chance at life, but it will also curb the traffic in illegal organs. How do you promote organ donation in India? 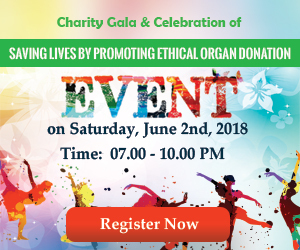 We help organizations that promote organ donation from cadaveric (brain-dead) donors and support them by raising funds for them and promoting awareness about their activities. We have partnered with an NGO in India, MOHAN foundation (Multi Organ Harvesting Aid Network) that is at the forefront of such activity in India. However we are independent organization and will support other programs in India that do the same. Do you arrange for living donors? Can MOHAN USA help me find a kidney donor? We DO NOT arrange for living donors and MOHAN USA CANNOT help you find a kidney donors in India. We only promote deceased donor organ transplantation and one of our goals is to promote ethical organ donation that curbs the illegal trade in organs in India. Why should I donate to MOHAN USA? The miracle of organ transplantation can save thousands of lives in India. All it needs is the resources to organize an organ retrieval and recovery program there. This is one of the most worthy causes that can have tremendous impact in patient lives, giving them a second chance at life. 100% of the money that you donate will be used to support programs to support such organizations. Your donations are also fully tax deductible in the US. How do patients benefit from your activities? Patients in India will benefit directly from the increased availability of organs. The process of organ transplantation takes a tremendous amount of organization for patients to taste its fruits. We at MOHAN USA help support any and all of those organizational activities that promote ethical organ donation in India.